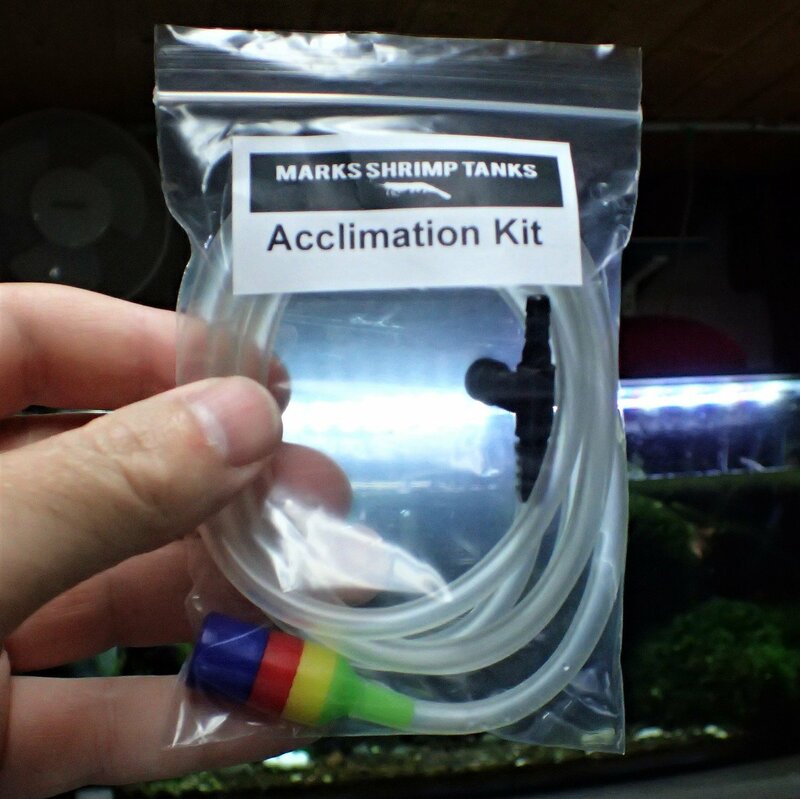 This is a one meter long Shrimp drip acclimation kit fitted with a baby Shrimp safe none clogging air stone and an adjustable valve for precision adjustments. I recommend 1-2 drips per second and I drip up to two liters of water which can take a few hours. I have never lost shrimp doing it this way.